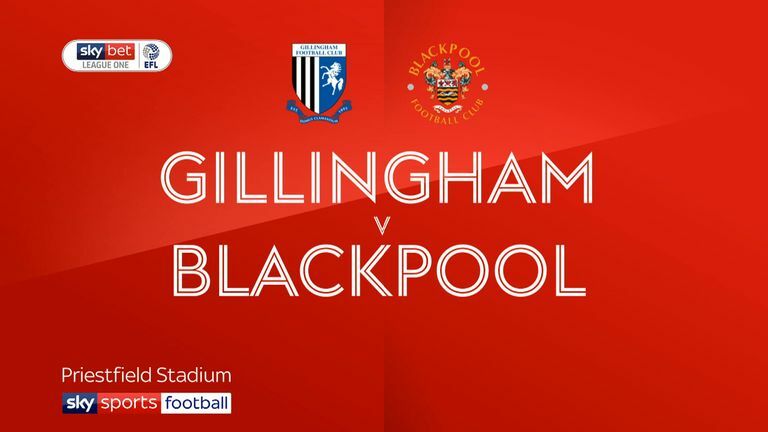 Highlights of the Sky Bet League One game between Gillingham and Blackpool. 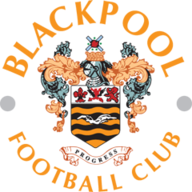 Nathan Delfouneso's fourth goal of the season earned Blackpool a 1-0 victory over Gillingham to end their three-match losing streak in all competitions. Delfouneso headed in the winner four minutes into the second half after Chris Taylor capitalised on a mistake by Gills defender Max Ehmer. Blackpool's best chance before that fell to Michael Nottingham, who saw his deflected cross flash past a post midway through the first half. 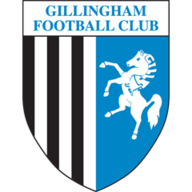 Gillingham, who had scored seven goals in their two previous games and conceded none, came closest to a first-half opener when loanee Connor Ogilvie hit the crossbar with a snap-shot after 11 minutes following a bright start. Darren Oldaker's swerving free-kick was well saved by an alert Christoffer Mafoumbi and Brandon Hanlan curled a low shot wide from the edge of the box shortly before the break. Substitute Jordan Thompson almost doubled the visitors' advantage but Gills goalkeeper Tomas Holy produced a smart save to keep out his powerful drive. Barry Fuller had the Gills' best chance in their hunt for an equaliser - a low shot that was claimed by Mafoumbi at the second attempt six minutes from time.